There are several reasons Nissan Altima is a cut above the competition. The vehicle comes with two luxury features which will make you feel you are driving in the future. Nissan Altima features a Variable Compression Turbo engine which will make you rediscover the pure joy of driving with a rush. Other features include Pro-Pilot aid which will help you along the highway. It will as well give you confidence driving with the All-wheel driving ability. The 2019 Nissan Altima sits at the middle of the recent mid-size vehicle’s reviews. The 2019 model features two new features from the earlier models but now there’s one thing that puts it to a lower category-low grade cabin. The 2019 Nissan Altima is a good vehicle because it features two strong engine options which offer a composed ride and a good fuel efficient drive. The above and more features make Nissan Altima a perfect match for your daily commute. This vehicle features a spacious Cabin which makes it easy to load more passengers. This vehicle offers All-wheel drive and Pro-Pilot help. Though, when the 2019 model is Head-to-head with industry rivals, you recognize that brands offer better interior. Nissan Altima 2019 model is a competent and capable family sedan. They load the 2019 model with countless helpful features that make it an excellent choice. The 2019 model makes bold changes for Nissan’s sixth generation. With the two new engines, sophisticated driver aids and the all-wheel driveability, which is a good match. I don’t have to start by saying Altima is a sport sedan but I can say it still has a move. It has a turbocharged engine that delivers the proper punch. They improve the steering in this new generation. When driving, the comfort and the smooth ride takes you to another world. Altima’s Zero gravity seats make it comfortable. They make them from NASA’s only technology to improve shape, comfort, stability and cushioning. This makes them extremely comfortable even for long drives. The vehicles smooth even when on tough roads thanks to the complaint, well-damped suspension. 2019 Nissan Altima offers a comfortable ride which makes it a good value. They have included two standard technological features which make this vehicle an excellent choice in the class. 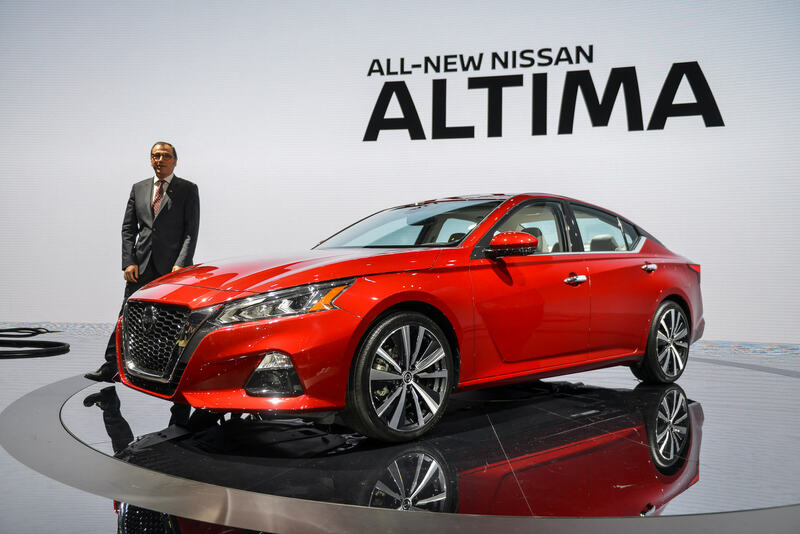 The Altima’s next generation is here to launch with a new redesign in the 2019 model year. Nissan has given the 2019 model’s engine power boost. 2019 features a 188 hp as opposed to the 179 hp in the earlier model year. The manufacturer has brought forward the energetic and more fuel efficient turbo. There are four engines that replace the earlier V6 engine in the earlier models. It comes with a larger standard touch screen and acquires more features including Apple Car-play, three extra USB ports, android auto, and satellite radio. The other thing is that the new Altima is very expensive especially if compared to the used models. However, with all the additional features and improvements in the engine, see the new 2019 Nissan Altima. The 2019 Nissan Altima has a starting price of $23,750 they consider which averages for that class design. They also have five additional trim levels: SR, SV, SL, Platinum and Edition One. All wheel drives in models with the Standard 2.5-liter engine is available for $1,350. Nissan Altima seats 5 people. The other thing is that it features zero gravity seats that are the most comfortable seats in the market today. The rows are very comfortable and spacious for adults. The driver’s seat is an eight-way power-adjustable seat that adds to the existing comfort. 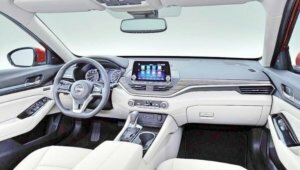 The 2019 model also has a more modern-looking dashboard featuring brand-new infotainment interface. Reviewers also praise the 15.4 cubic feet of cargo space which they think is average for the class. One drawback is the hinges that may impede upon cargo room. The standard Infotainment system in Altima is a major improvement over the previous generation’s system. The system includes an 8-inch touch screen with a user-friendly interface. The dashboard also comprises superfluous knobs for audio and temperatures control. The 2019 model comes with a 188-hp 2.5-liter 4-cylinder engine that is an improvement from the previous 179 hp engine. The engine offers a solid acceleration but if it concerns you about more power, you can opt for the 248-hp turbocharged 2.0 liter 4cylinder. The new engine is fuel efficient and powerful as opposed to the previous V6 engine. The 2019 model has an above average predicted reliability rating. It also comes with a 3-year/36,000-mile limited warranty and a 5-year/60,000-mile powertrain warranty. Just like any other manufacturer, Nissan has included two safety features to prevent accidents and to reduce the risk of death in case of an accident. They give the vehicle a good safety rating by the IIHS in six crash tests. The 2019 Nissan Altima has some safety features including automatic emergency braking, a rearview camera, and a forward collision warning. Also features the 360-degree camera, adaptive cruise control, traffic sign recognition, Lane departure warning, and many others.